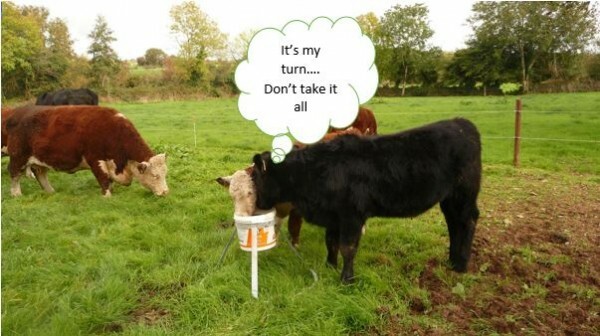 We are now ready to launch our new and improved mineral lick stand at next weekend’s National Dairy Show. We have been testing this stand for the past few months on our research farm and we are very happy with the results. The stand is now 500mm off the ground to protect the lick from badgers and vermin or any other unwanted visitors. 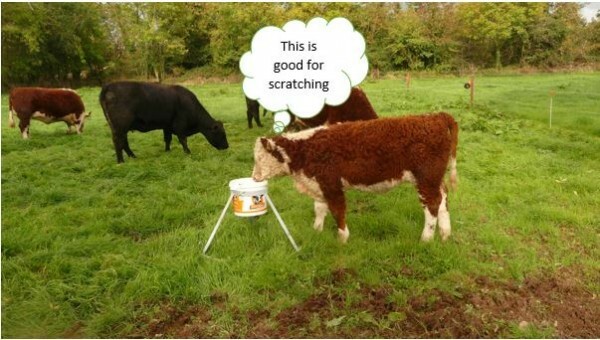 Our cattle here on our research farm have given us very good feedback on this stand, it is thumbs up and smiles all around in our field this summer. As you can see from the pictures below, this stand is good for both a lick and a scratch!